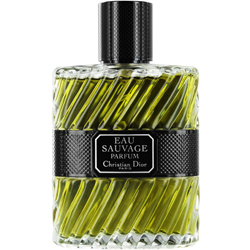 Introduced in 1966 by Christian Dior, Eau Sauvage remains a classic timeless perfume for men. This citrus, woody fragrance is renowned for its legendary masculinity, sophistication, refinement, and class. The perfumer Edmond Roudnitska carefully chose a wide array of natural essences including lemon and bergamot top notes, jasmine and rosemary middle notes, and vetiver and oak moss base notes and perfectly balanced them together. Many judge the resulting perfume a masterpiece. Wonderful for day use, Eau Sauvage will inspire you with poise and confidence. The el sauvage was great and smells so great!!! i wear Eau Sauvage since 30 years, It is perfect with my complexion skin. Awesome smell, great feeling. Some people think this is winter or cold Eau de Toilette or Eau de parfum, but this is definitely Summer time Fragrance. Very Fresh. It's expensive but it's worth it. It's what you would expect a rich businessman to wear at the office or out on the town. Rich deep smell on application fading into a warm wrap around scent within 15 minutes of application and lasting much of the day. It's the kind of smell that you want to keep on smelling because you keep saying where have you been all my life and why didn't anyone tell me about this before now........You will get asked what you are wearing by both sexes.